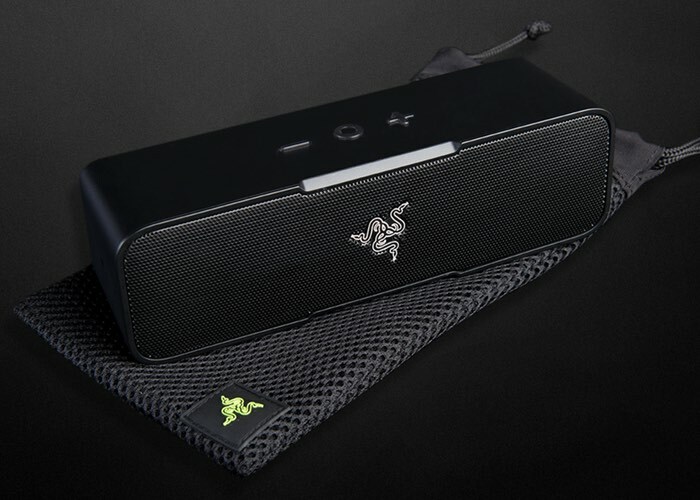 Building not the technology used in their popular Leviathan sound bar, Razer have this week unveiled a new addition to their range with the launch of the smaller, Razer Leviathan Mini wireless Bluetooth speaker. The Razer Leviathan Mini is equipped with a 2,600mAh battery that is capable of providing up to 10 hours of playback, and can be charged from flat in just one hour and features Bluetooth 4.0 connectivity. Razer explains that the small speaker can be paired with another over Bluetooth using the Combo Play feature, to either mirror the virtualised 5.1 surround sound output or each speaker can act as a separate left and right channel. Razer explains more. 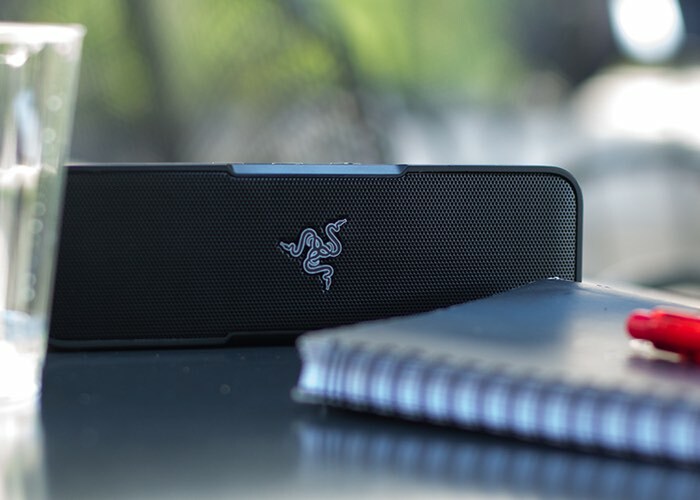 Presenting uncompromising audio power packed within an ultra-compact body – the Razer Leviathan Mini. Powered by Bluetooth with aptX technology for CD-like audio quality, this sleek portable speaker delivers stellar sound quality through powerful lows and crystal clear highs at volumes belying its size. For more information on the new Razer Leviathan Mini jump over to the official Razer website for details.